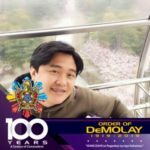 The Supreme Council, Order of DeMolay issued Circular No. 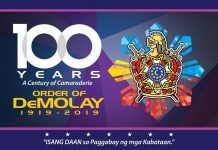 2018-34, dated November 26, 2018, declaring March 9-18, 2019 as DeMolay Centennial Week in the Philippines, enumerating several major nationwide activities in Cebu, Bohol, Bacolod, Iloilo and Davao Cities that would kick off and start the worldwide celebration of the 100th Year Founding Anniversary of the International Order of DeMolay. 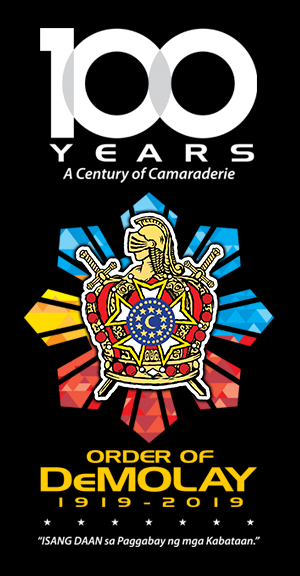 Grand Master Edison Abella of the Supreme Council, Order of DeMolay, together with Past Grand Master Greg Kimberling of DeMolay International as special guest, DeMolay Legionnaire Ericson Atanacio of the DeMolay Centennial Committee, National President Angelo Mangao of the DeMolay Alumni Association of the Philippines and National Master Councilor Datu Pax Ali Mangudadatu of the National DeMolay Congress, led the DeMolay Centennial Week kick off during the Finals of the National DeMolay Centennial Ritual Competition, which was held on March 9, 2019 at Ecotech Center in Cebu City. 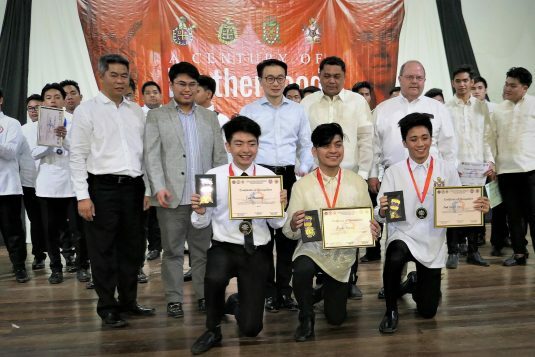 The National DeMolay Centennial Ritual Competitions was organized by the National DeMolay Congress, through National Junior Councilor Vince Edward Pintac, in collaboration with Lapu-Lapu and Datu Sawili Chapters, and Cebu DeMolay Alumni Chapter No. 18, all based in Cebu City. 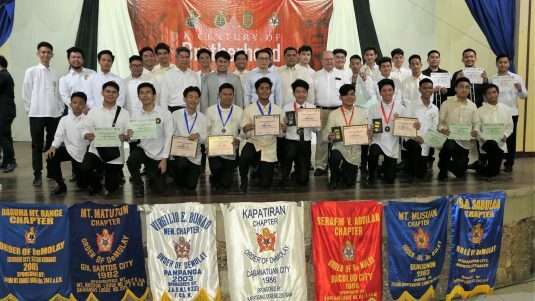 A total of 34 regional winners coming from DeMolay Chapters all over the country came to vie and compete in the three ritual competition categories, Ceremony of Lights, Father Talk and Flower Talk. 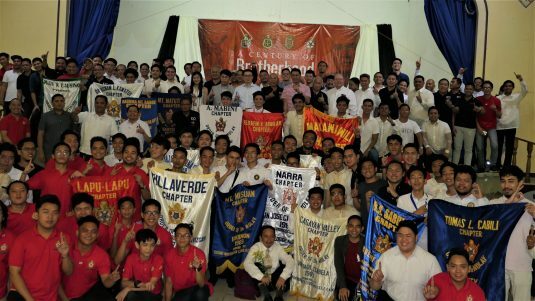 National President Angelo Mangao of the DeMolay Alumni Association of the Philippines (DAAP), together with Chapter President Joseph Raymond Juaneza of Cebu DeMolay Alumni Chapter No. 18, also welcomed Grand Master Abella and Past Grand Master Kimberling and held a special meeting to orient and update the dignitaries on the vision, mission, projects and activities of DAAP. 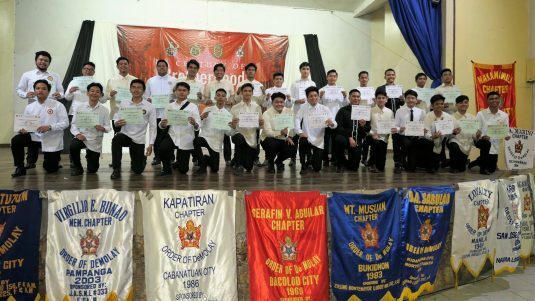 The awarding ceremony of the winners of the National Centennial DeMolay Ritual Competition and dinner/fellowship was held at Multi-Purpose Hall of AFP’s Camp Lapu-Lapu in Cebu City. 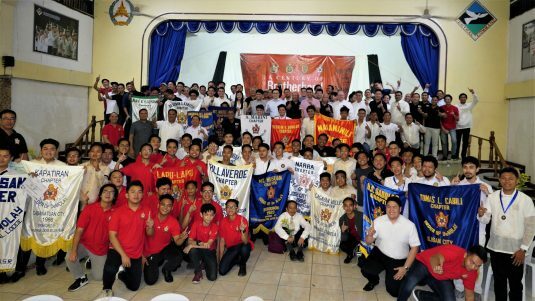 Lt. Gen. Noel S. Clement, a member of Feliciano Iñigo Chapter (Davao City) and recently appointed as Central Command Chief of the Armed Forces of the Philippines, warmly welcomed the DeMolay dignitaries, members and guests. The affair was highlighted by the presence of Brother Rudy Gantuangco, 76 years old, a Pioneer or Charter Member of Lapu-Lapu Chapter, established in January 1957. 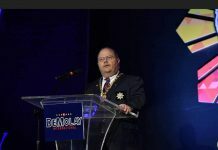 The following DeMolay contestants won in the National DeMolay Centennial Ritual Competition: Father Talk: Bro. Ian Rovanne Z. Manabat of Loyalty Chapter (NCR); Ceremony of Light: Bro. Paolo T. Medina of Emmanuel Baja Chapter (Cavite City); and Flower Talk: Bro. Paul Eriman J. Taguan of Serafin V. Aguilar Chapter (Bacolod City). 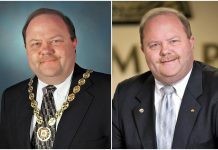 As a surprise gesture to all, Grand Master Abella presented and awarded the Louis Gordon Lower Centennial Fellow to each of the three winners as their names will be etched in the DeMolay Centennial Marker that will be permanently installed at the Philippine DeMolay Youth Center in Manila. 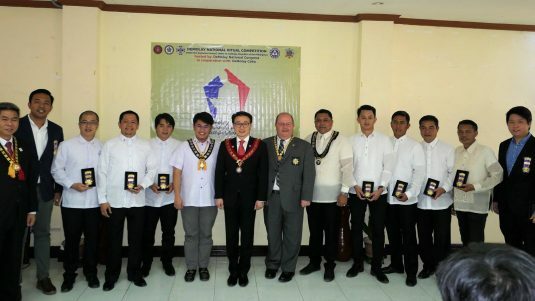 GM Abella also conducted the collaring of the Frank S. Land Centennial Fellows to Master Masons and pinning of the Jacques DeMolay and Louis Gordon Lower Centennial Fellow medallions to Senior and Active DeMolays, respectively.